Anyone who watched the Zootopia documentary (which is streaming for free on YouTube) will know that the movie was originally a much darker one. There was a whole subplot about the film’s predators being forced to wear “tame collars” that delivered electric shocks when they got too emotional. It was all meant to be a metaphor for the ways in which minority groups are often forced to keep their emotions in check lest they be seen as a threat by the dominant culture. It’s shockingly dark stuff, which is why it was eventually cut from the movie. But it turns out there’s still enough tense material left in the final version of Zootopia to allow CineFix to recut it as a gritty crime thriller. Gone are the cheery Shakira songs and the film’s colorful aesthetic. 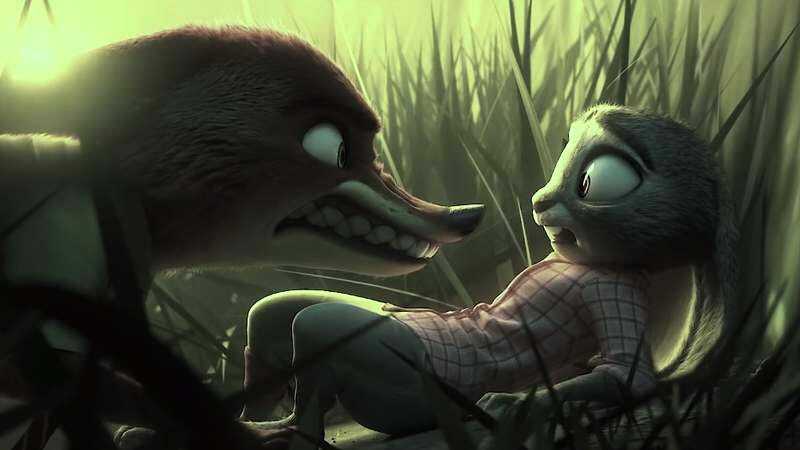 In their place, the trailer reimagines a cutthroat predator vs. prey world where Officer Judy Hopps must grapple with violent forces as she and Nick Wilde search for a slew of missing mammals. Admittedly, Zootopia kind of already was a crime thriller to begin with, but the CineFix remix plays up the atmospheric tension much more than the original film. Still, it’s nowhere near as dark as those shock collars.